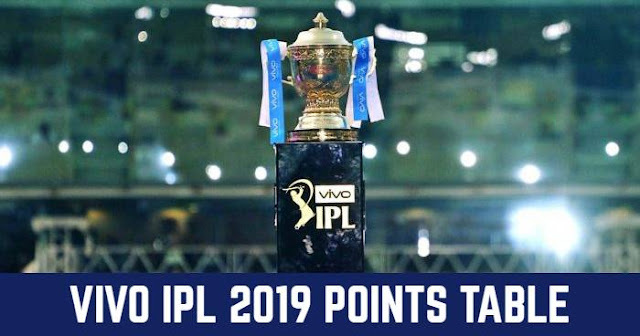 Auction for the 11th season of Indian Premier League (IPL 2018) has to be held on 27 and 28 January and a total of 1122 players has been registered for the mega-auction as announced by the Board of Control for Cricket in India (BCCI) on Saturday, 13 January. January 12 was the last date for the player registration for the auction. Among 1122 players, 281 are capped players and 838 uncapped players which include 778 Indian players and 3 players from the Associate nations. Among the foreign nation players, players from Australia is maximum with 58 which is followed by South Africa with 57 players. 39 players are from West Indies and Sri Lanka both. 30 players are from New Zealand and 26 players are from England. There are 8 players from Bangladesh, 13 from Afghanistan, 7 from Zimbabwe and 1 from Ireland. 3 players are from the Associate nations; 2 from the United States of America and 1 from Scotland. Indian star players Gautam Gambhir, Yuvraj Singh, Ravichandran Ashwin, Harbhajan Singh, Ajinkya Rahane, Kuldeep Yadav, KL Rahul and Murali Vijay will go under the hammer in the IPL 2018 Auction. Prithvi Shaw, Deepak Hooda, Krunal Pandya and Basil Thampi are among the uncapped Indian Players who are registered for the IPL 2018 Auction. 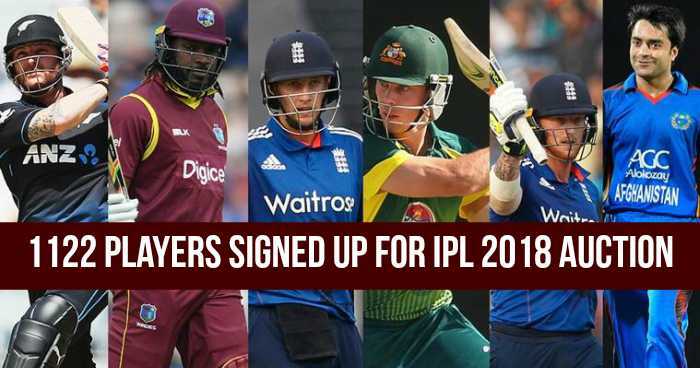 Chris Gayle, Dwayne Bravo, Carlos Brathwaite, Evin Lewis and Jason Holder are from West Indies to register for the IPL 2018 Auction. Lasith Malinga, Angelo Mathews, Niroshan Dickwella and Thisara Perera are from Sri Lanka. Kane Williamson, Colin Munro and Tom Latham are from New Zealand. Hashim Amla, Faf du Plessis, Quinton de Kock, David Miller, Morne Morkel and Kagiso Rabada are from South Africa to register for the IPL Auction. England Test captain Joe Root, Eoin Morgon and Ben Stokes are among the players to register from England. Australia has a long list which includes Chris Lynn, Eoin, Mitchell Starc, Pat Cummins, Glenn Maxwell, Shane Watson and Mitchell Johnson. And also uncapped Australian players D'Arcy Short and Jofra Archer are included.